This could easily turn into a long, rambling post about all of the thoughts I’ve been having regarding the major differences (at least for me) between the time when you’re expecting your second baby vs. your first – but I’m going to force myself to at least try keep it succinct. I wasn’t even sure if this was worthy of a blog post, but behind the curated fashion and home and recipe posts that are planned well in advance into our editorial calendar, there is real life me, sitting here at my computer, listening to my toddler sing loudly downstairs and feeling the fluttering kicks of a tiny baby in my belly, pondering what life will be like with two and how different things feel this time around. So I figured I’d share at least a few of these thoughts, because this is what’s going on lately in my head, dudes. A first pregnancy (or process of adoption, I’m certain) is an overwhelmingly exciting period drenched in newness and the unknown and tiny details and celebrations and expectations and nervousness. There was so much planning while I was pregnant with Essley – items we “had” to buy, nursery design, breastfeeding and birthing classes, baby showers, birth plans, home projects (my nesting instinct was out of control), etc. The baby-on-the-way consumed our lives, and looking back, I understand why. We had no idea what to expect, and I felt a lot of pressure to do things “the right way.” Of course, the excitement part of it all was pretty great, but there was as a lot of stress as well. It’s actually pretty cool how different I feel this time around. It’s not better or worse – it’s equally as awesome, but in a contrasting way. 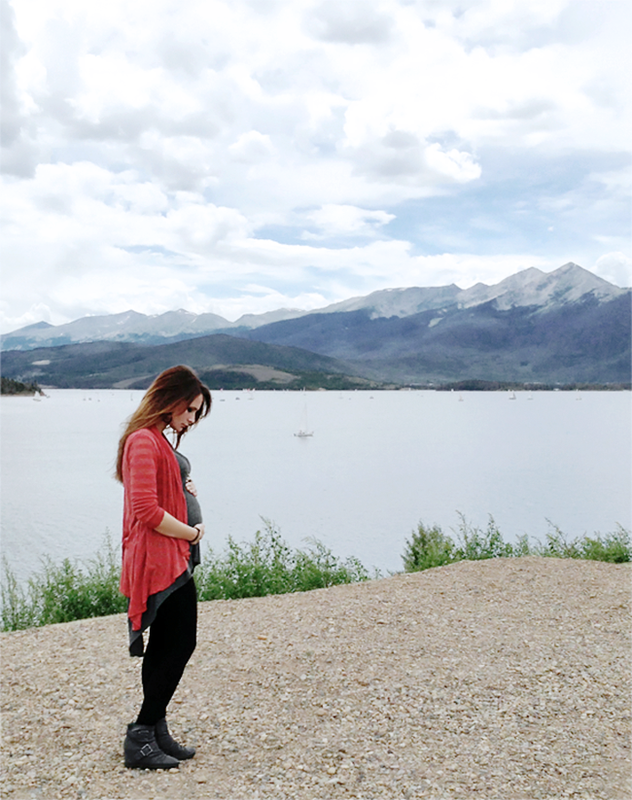 The pregnancy itself has been physically very similar to my first, but the way I’m dealing with it/feeling about it is another experience entirely. Unlike the first time, this isn’t an unknown full of intense sparkle and butterflies – it’s a more subtle, comfortable anticipation. And I’m grateful to feel this way, and for the way I felt last time too. It genuinely feels like a gift to be able to appreciate such different things about each pregnancy. It will be interesting to see how things progress, and if I’ll start to feel anxiety about preparations later or if this mellow feeling will continue. Either way, I’ll take it. For those of you who have had more than one child, either via pregnancy or adoption, how was your experience different the second time? Was it similar to mine in terms of being more laid back than the first? I’d love to hear about in the comments (or via email).